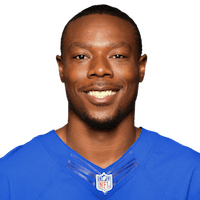 Week 2 was pretty uneventful for UTSA alumni, as Teddy Williams was inactive for the Panthers in their game against the San Francisco 49ers, leaving David Morgan as the Roadrunners’ sole representative. David Morgan was once again the #12 most-used offensive player for the Vikings in their 17-14 win over Green Bay in their home opener. 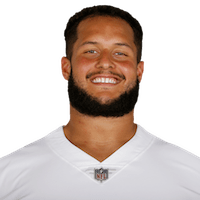 Following up on his first ever NFL game, Morgan saw nearly as much action in his second game, appearing on 17 offensive snaps (29%) and 3 special teams snaps (12%). He still appears to be the top-choice blocking TE in Minnesota and should continue to get solid playing time. 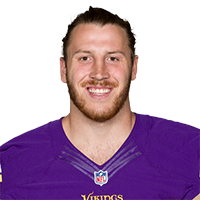 After becoming UTSA’s first All-American and first draft pick, David Morgan II became the first UTSA football player to appear in a regular season NFL game in the Minnesota Vikings’ 25-16 win on the road over the Tennessee Titans. Although he didn’t make an appearance on the stat sheet, Morgan did see the field on 20 offensive snaps (32%) and 4 special teams snaps (14%). This made him the 12th-most-used offensive player and the top-choice blocking tight end as incumbent Rhett Ellison is eased into the lineup after returning from a torn patellar tendon he suffered in January. Despite the somewhat limited snaps, Morgan made his presence known and earned a 66.3 grade from Pro Football Focus, who had previously named him the #1 run-blocking tight end in the 2016 NFL draft, and that grade was good enough to make him the 5th-most effective offensive player for Minnesota. The other UTSA alum in action during opening week was former track star Teddy Williams in Carolina’s 21-20 loss to the Denver Broncos in the Thursday night NFL opening game. Williams did not make any appearances at cornerback, but appeared in a team-high 19 special teams snaps (79%).